Plan B became the plan as the storm rolled in quickly. 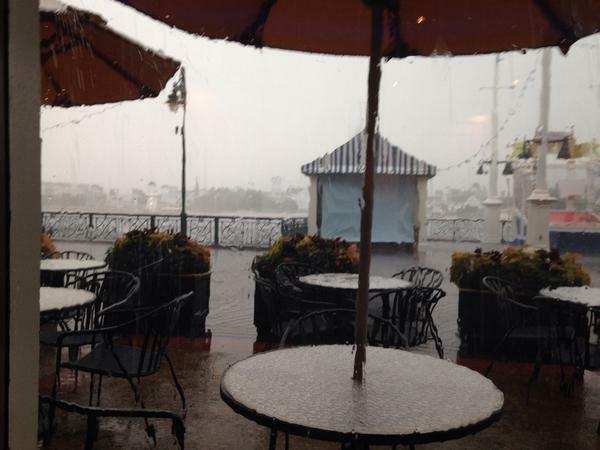 My wife and I were able to duck into Big River Grille right before the heavy rains started. The storm got so bad, at times, that we couldn’t see the Beach Club from Big River. This photo was taken during one of the “breaks” in the storm. Big River Grille was a nice emergency stop for dinner. The dinner, here, isn’t much better than what a guest could get at their local brew house by their home. But, the best dinner, in this case, was a dry dinner. We had a nice table inside from the elements and we didn’t have to wait. This wasn’t the case when we left as more and more people sought refuge in the restaurant and it had nearly an hour wait. 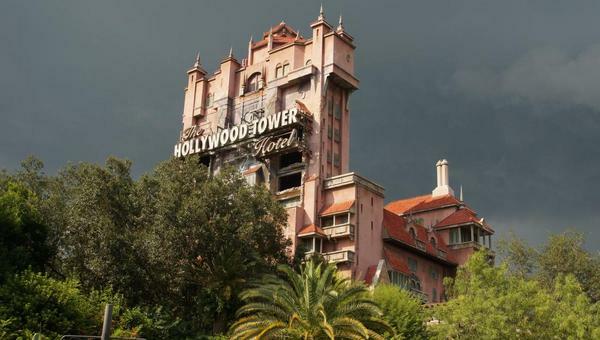 After the rain stopped, we proceed to complete our walk to Hollywood Studios which now had a villainous look in the skies thanks to the storm. We made our way into Hollywood Studios and got our park maps for the event and saw that our plans to eat at Hollywood Brown Derby Lounge would have been thwarted by its conversion into Club Evil for the event. It was closed by 6 pm when we arrived. At this point, we decided to see if the Wandering Oaken’s Trading Point was still open which is was. We went in and bought some Frozen merchandise for our daughter who was spending the week with grandparents. Then we went to check out the line for Villains Unleashed Merchandise which was already long. At this point, my wife and I split up. She went to go stand in the line for Maleficent and I went to explore the park. All the meet-able characters had lines of various length. 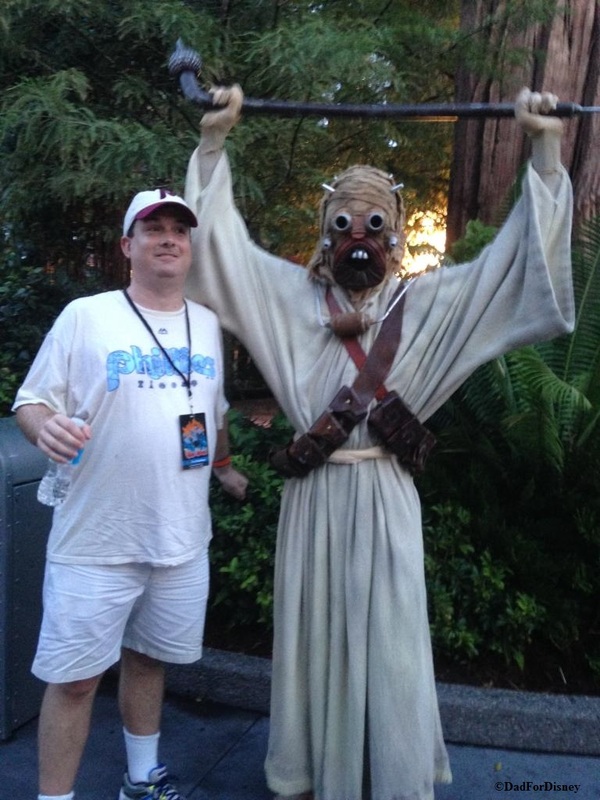 The best run area seemed to be the Star Wars area. 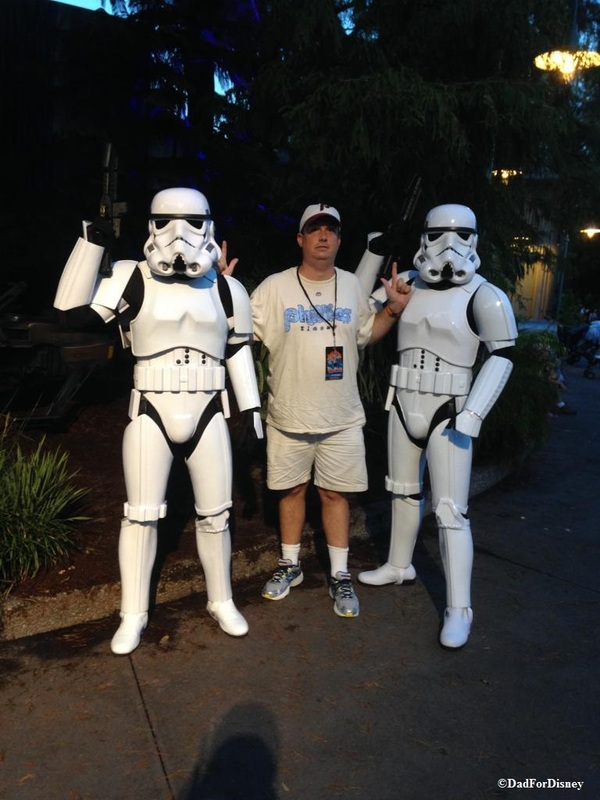 This could be because the cast members have practice in managing crowds from Star Wars Weekends. 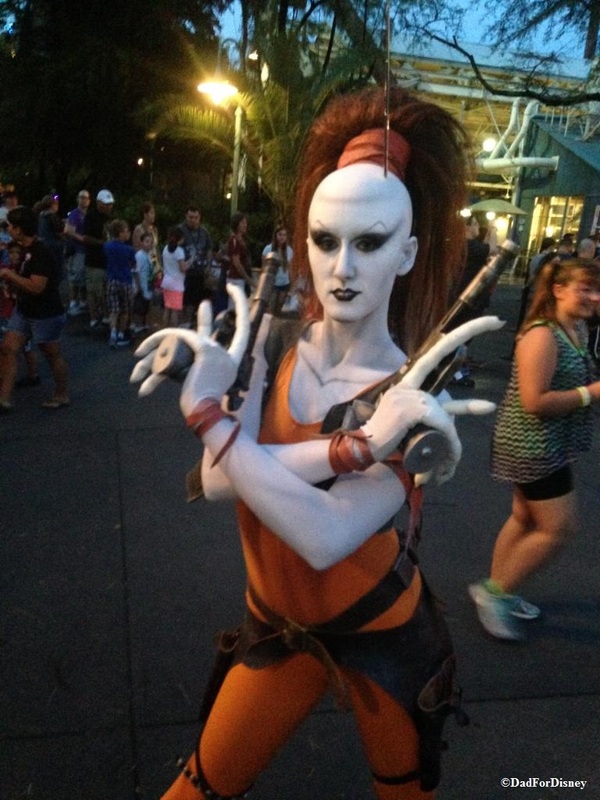 But there was a good mix of meet-able characters and characters which were roaming through the area. After spending some time exploring, I made my way back to my wife and the Maleficent line. 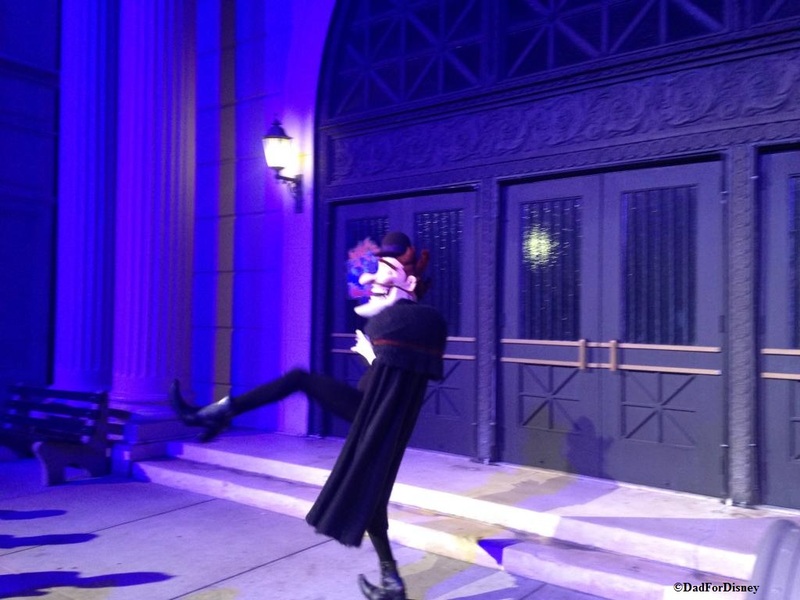 Maleficent was scheduled to meet guests starting at 8:30 pm which she did. However, the line moved very slowly. My wife was toward the front of the line and we still had to wait an hour to meet her. During the entire wait, the cast members did an excellent job of letting people come and go for washroom breaks and snacks as long as one person remained in the line. 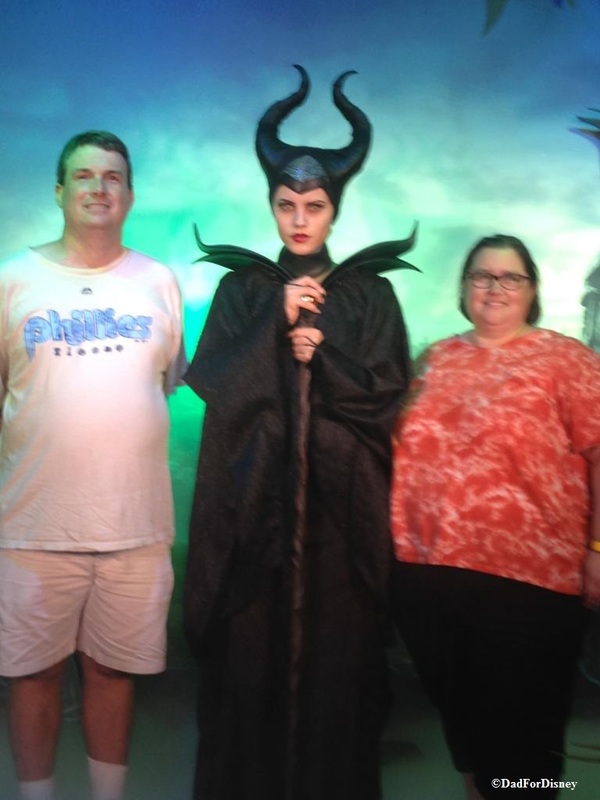 After about an hour wait, we got to finally meet Maleficent. After Maleficent, we continued to explore the back of the park. At this point, we had both missed the opening show where all the villains were introduced AND the Villainous Pre-Show to Fantasmic and most of Fantasmic itself. So, we continued to explore the back of the park. 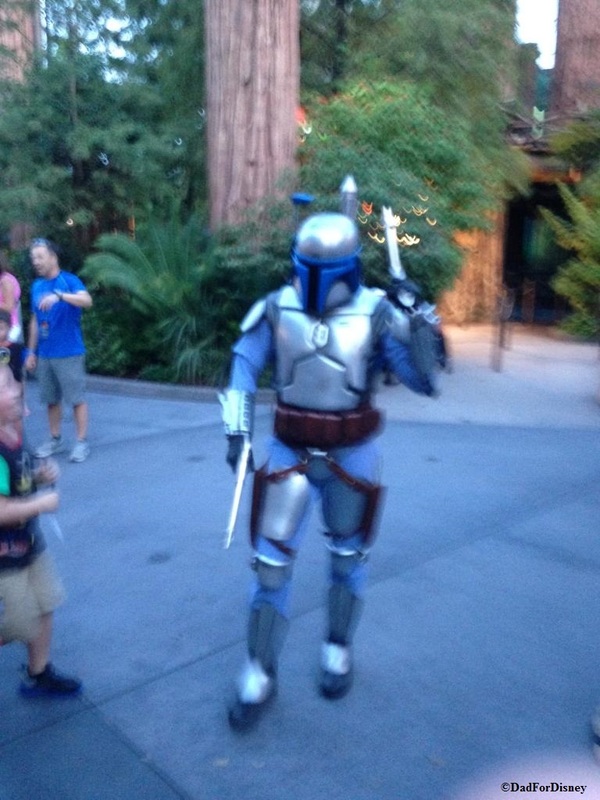 We went down the Streets of America to hopefully meet some more characters but we greeted with long lines. Instead of waiting, I went to make shift areas where guests we taking pictures of characters in between guests. We walked over to the merchandise area to see if the line had gone down. 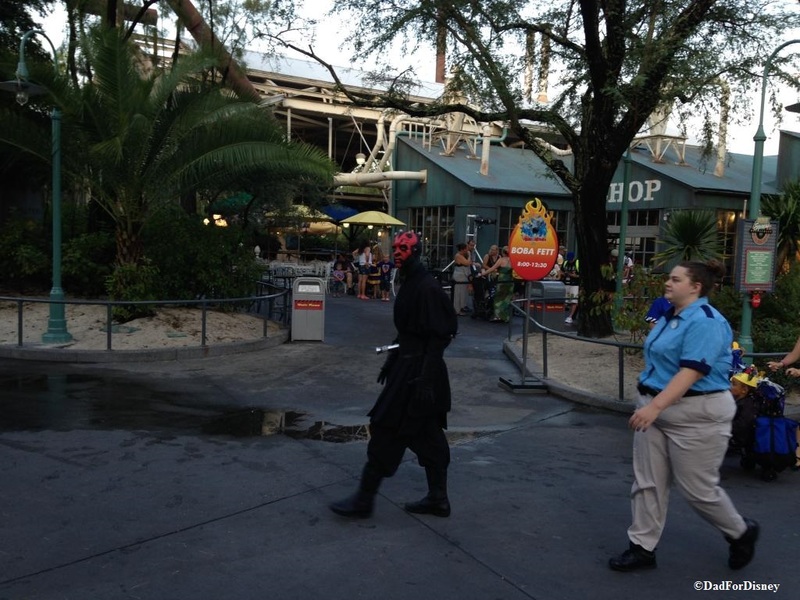 It hadn’t and cast members were saying that the line was closed so no Villains Unleashed merchandise for us. We decided to spend some time in air conditioning and went on Toy Story Midway Mania for a nice break. 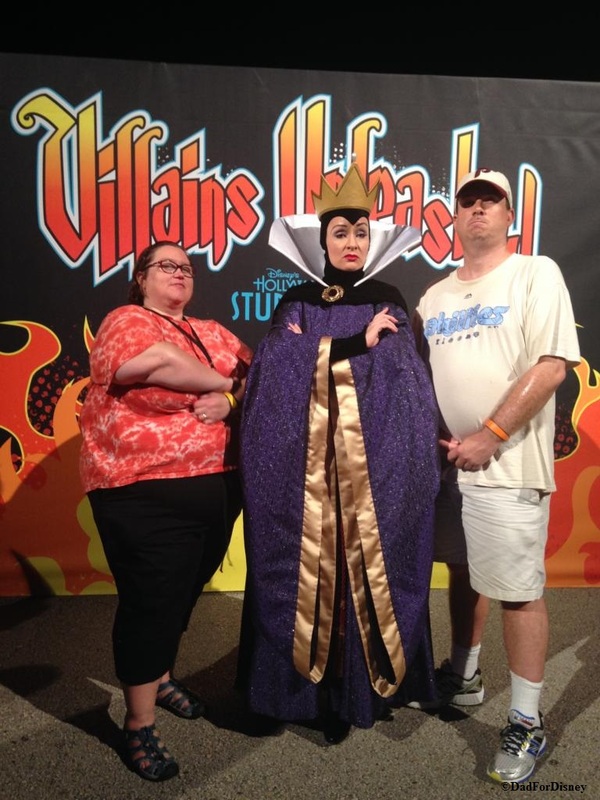 Our next stop was an hour wait to meet The Evil Queen from Snow White. 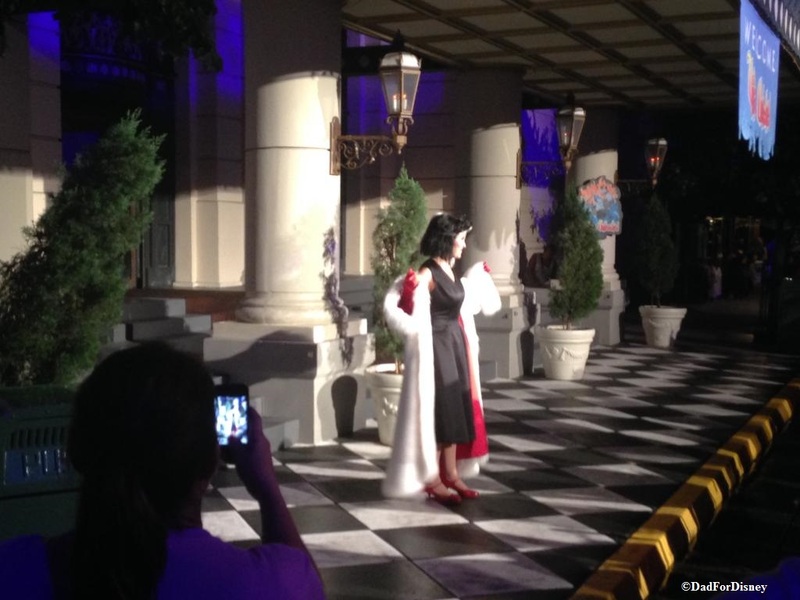 The wait was lengthened because The Evil Queen was taking 15 minutes breaks every 45 minutes. Others, but not all the characters, were doing the same. After meeting The Evil Queen, it was now past midnight. We were out of water and Gatorade in our backpack and starting to get tired. We grabbed a Coke and a lemonade and started to make away back to the boat and headed back to Yacht Club. This meant that we missed the fireworks as well. You can read about my criticisms/improvements that could be made to the event here. I really do think this event can work for Disney. 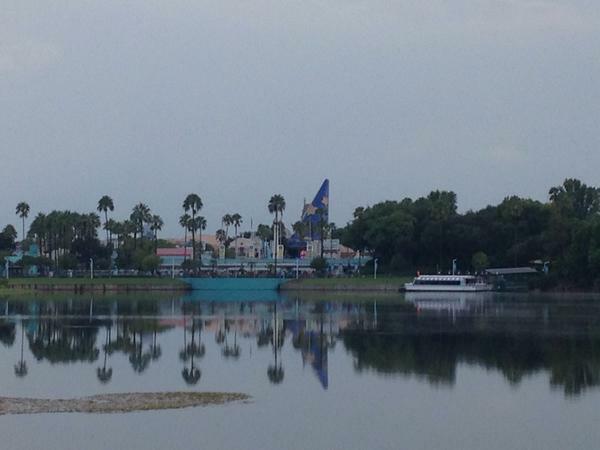 However, it either needs to move out of Hollywood Studios and to Magic Kingdom. 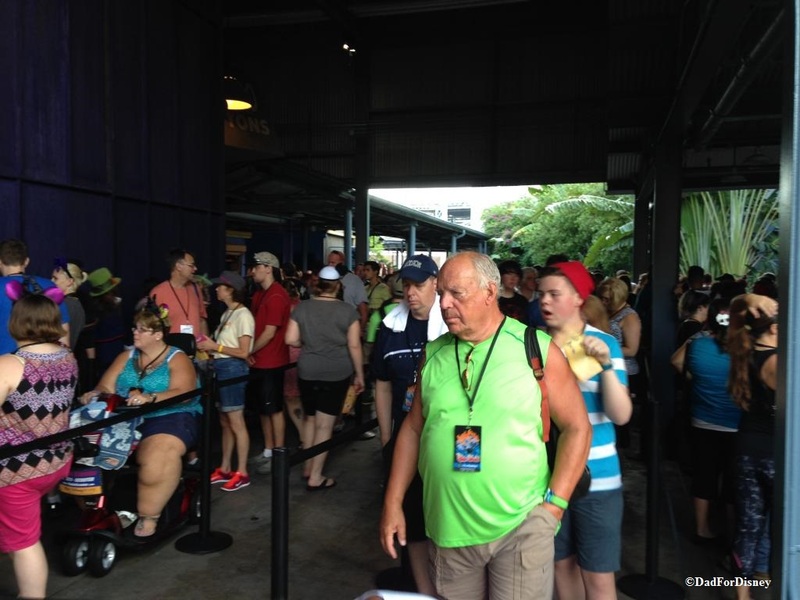 If it stays at Hollywood Studios, Disney would need to reduce ticket sales. 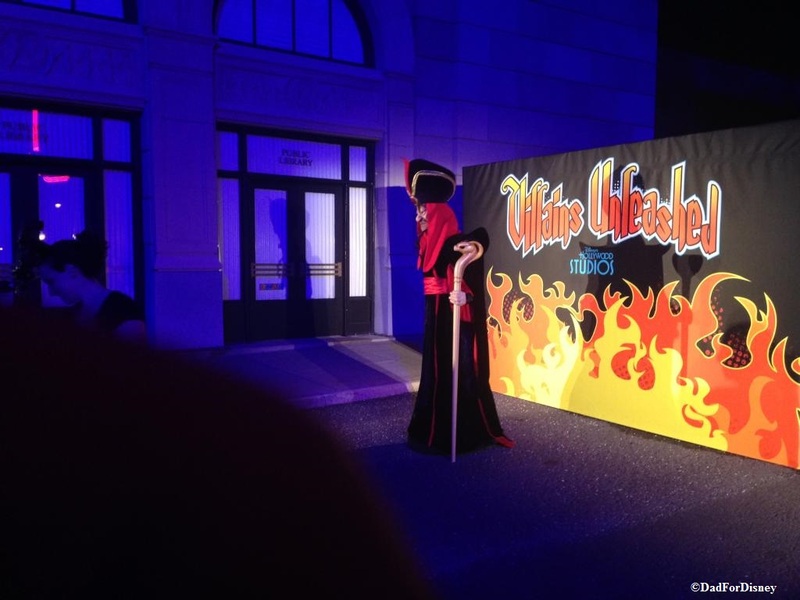 The best solution, in my opinion, would be to add Villains Unleashed parties to some of the Mickey’s Not So Scary Halloween Parties. The traditional party would run from 7 pm to midnight then the villains would take over the park from midnight to 5 or 6 am. These events would cost a bit more than the stand-along Mickey’s Not So Scary Halloween Parties. I will continue with my last full day in the parks later in the week. The Dad For Disney Facebook Group will be having its first giveaway later this month. Watch this space for more details in the coming days.